First of all, I want to thank the immigration team for their timely and excellent services. They were absolute joy to work with and the team was thorough, experienced and well placed to provide me excellent reviews, advice throughout my EB2-NIW application process. I have already recommended a few of my friends who already echo my sentiments and will continue to refer Chen Immigration services to anyone who seek my advice. A real pleasure to work with Chen Immigration. I'm very satisfied with the process and, of course, with the result! It was a persistent, systematic everyday job of their team for several months, tons of e-mails, all replied professionally. No need for a single phone call! No nerves, no hash, no mess, just persistent professional work that resulted in my approval. Yes they ask for many supporting documents and evidence but the result is a very strong case approved without any RFE. That's extremely important to save time and nerves. 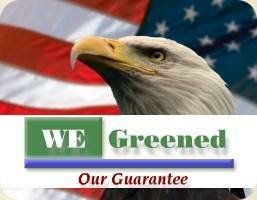 Words can not describe my level of satisfaction working with folks at WeGreened. They have a rigid systematic approach to submit cases to USCIS (i.e. EB2-NIW in my case). No hitting around the bush during working with you. Straight forward and logical folks. They throw it into your face when you are wrong, accept it with big heart if they fail. Turn-back time to your questions is within 24 business hours with no doubt at every single step of the progress. Do not doubt for even a single second to choosing them, regardless of your geographical point. I'm very happy with all the work and advice Chen Immigration Team have put into my NIW application. The responses were always timely, the letters drafted were polite, well-structured and timely. When I got my RFE, I was worried, but with the help of the attorneys working with me, the answer to the RFE lead to approval. Not only do the members of the team work extremely hard and with highest professionalism, they also show that they believe in their clients, are able to emphasize all the achievements better than I ever could, and they genuinely care. I cannot be happier with everything you've done for me! I highly appreciate the outstanding work and help provided by North America Immigration Law group to me during my I-140 petition. They have very good understanding of the case and even easily understood my research and full profile to make the petition. There response before committed time is really appreciable. I found that the case taken by them is a big assurance that it is going to be approved. My EB1A- I-140 got approved very quickly even the day after the premium processing application was received without any RFE or difficulty. I highly recommend Chen Immigration Team for green card petitions. Thanks a lot for their big help.